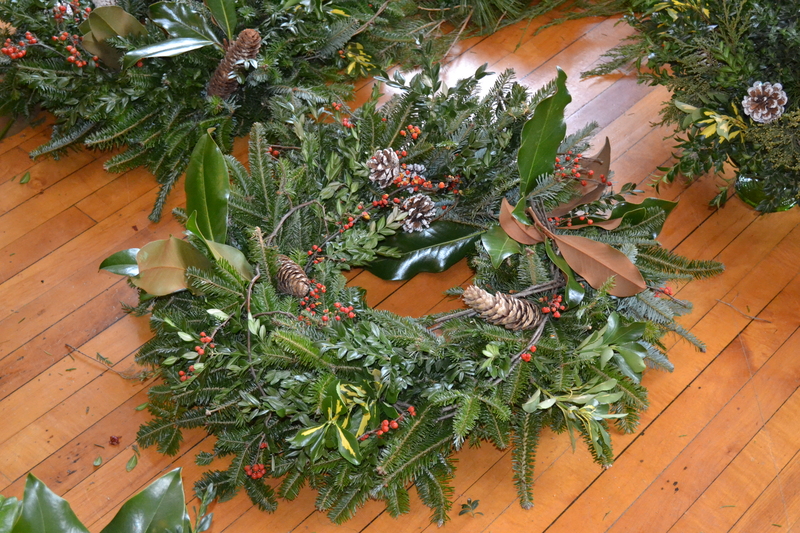 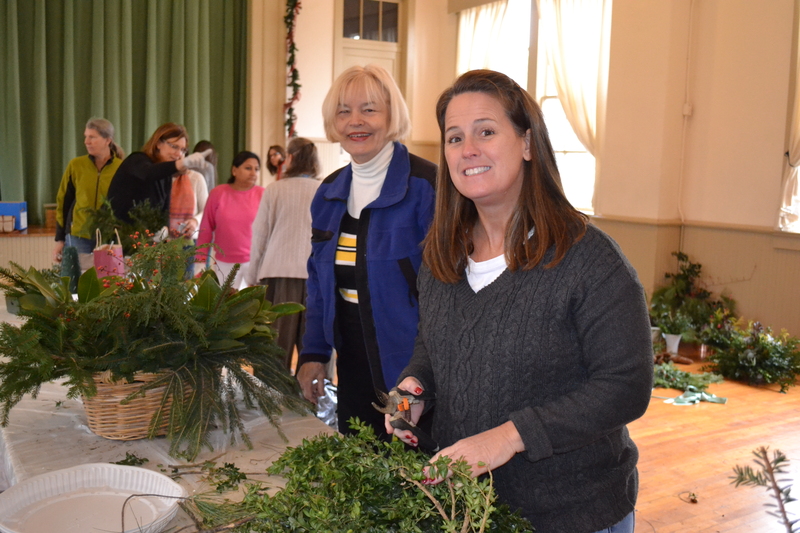 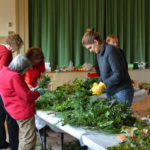 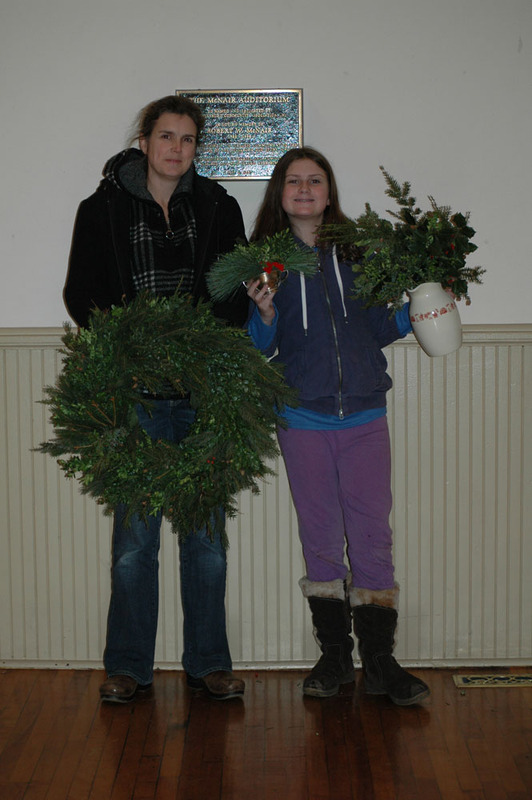 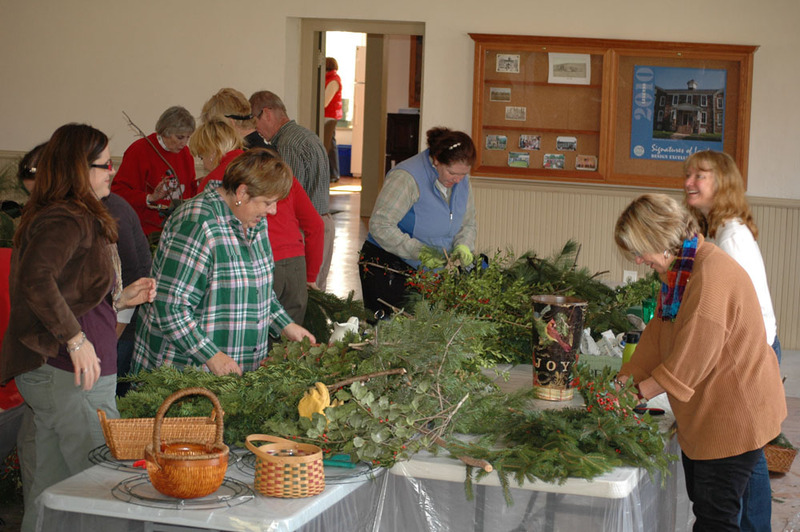 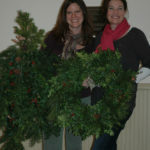 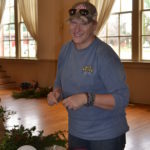 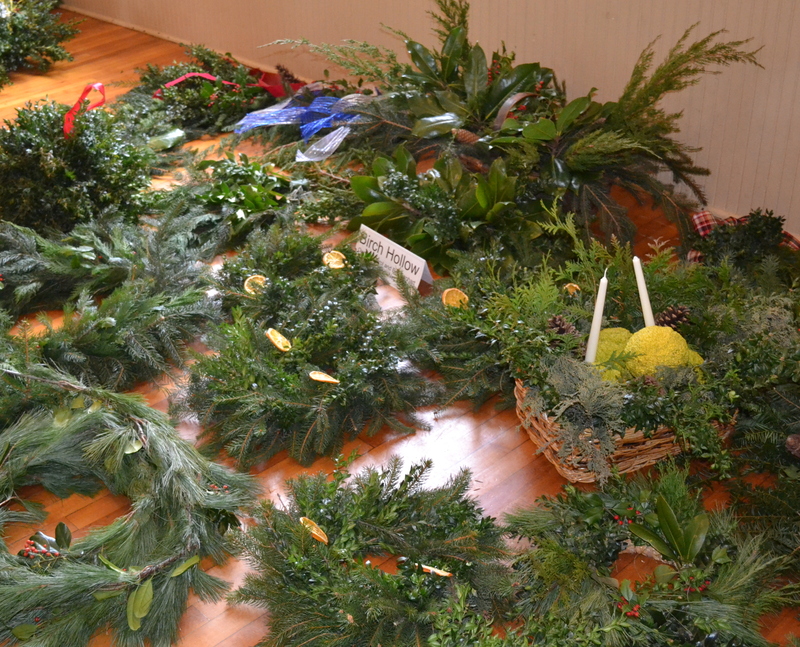 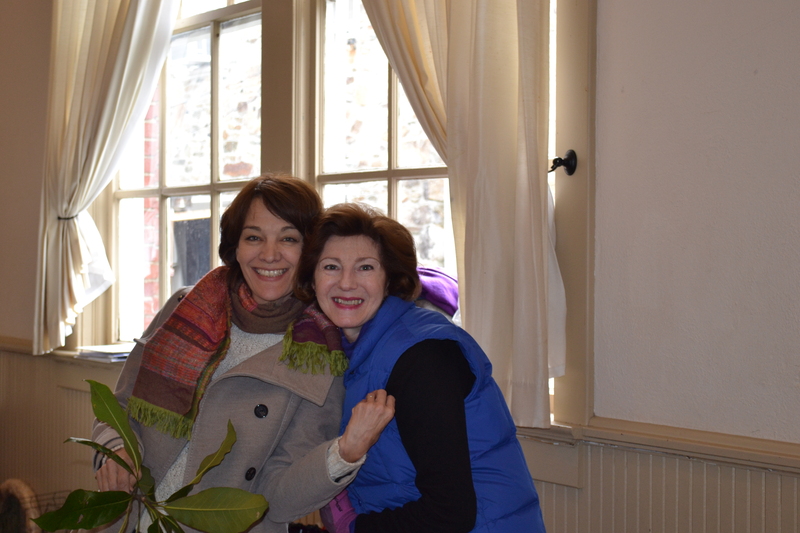 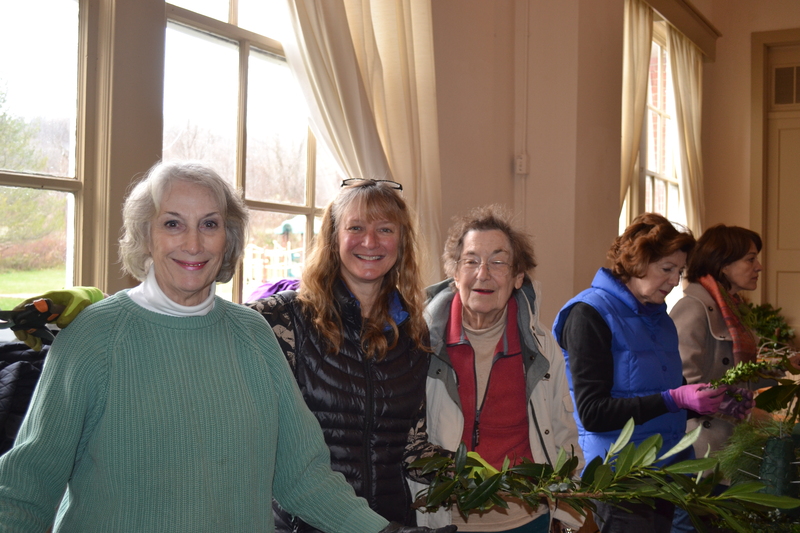 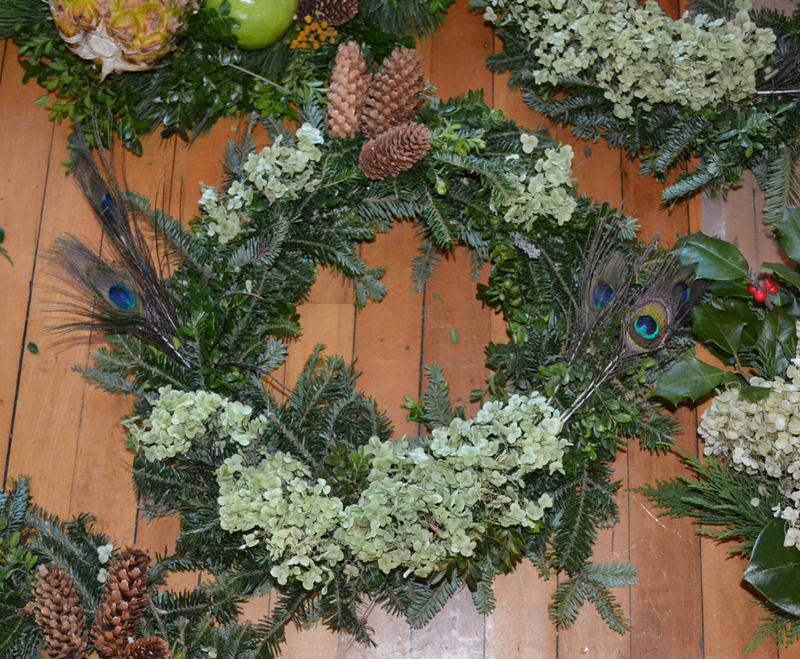 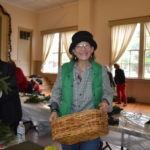 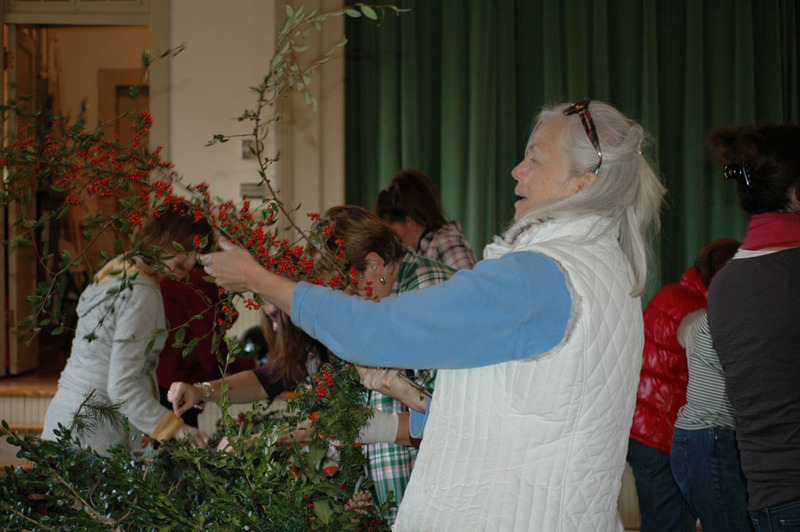 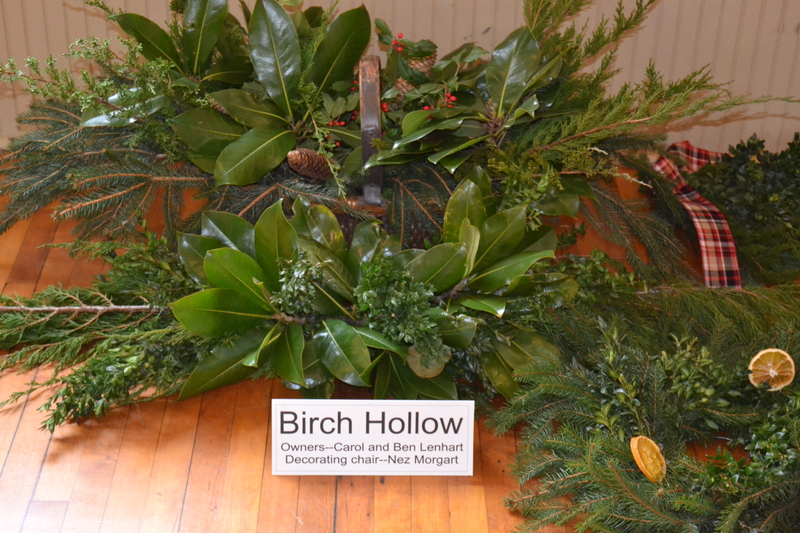 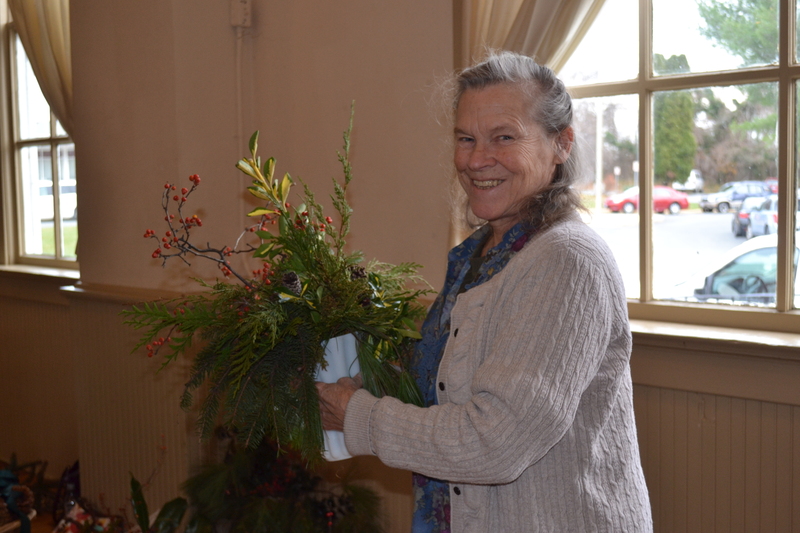 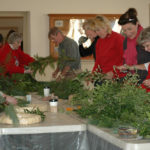 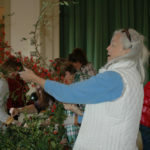 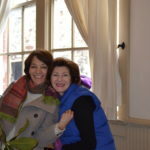 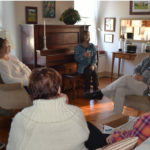 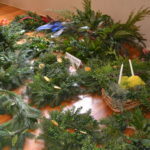 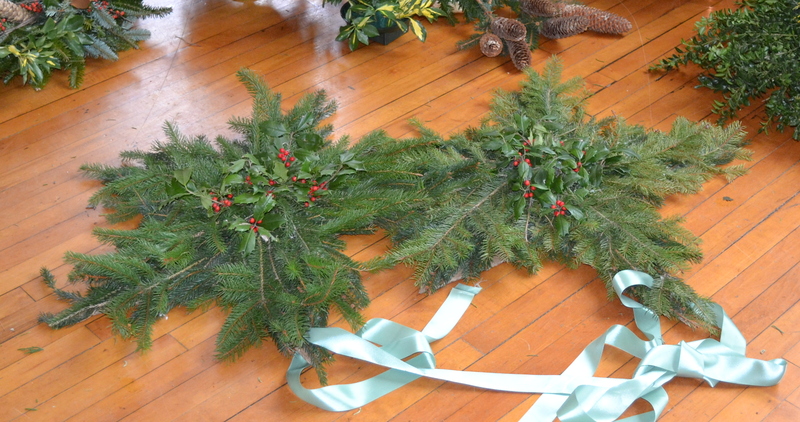 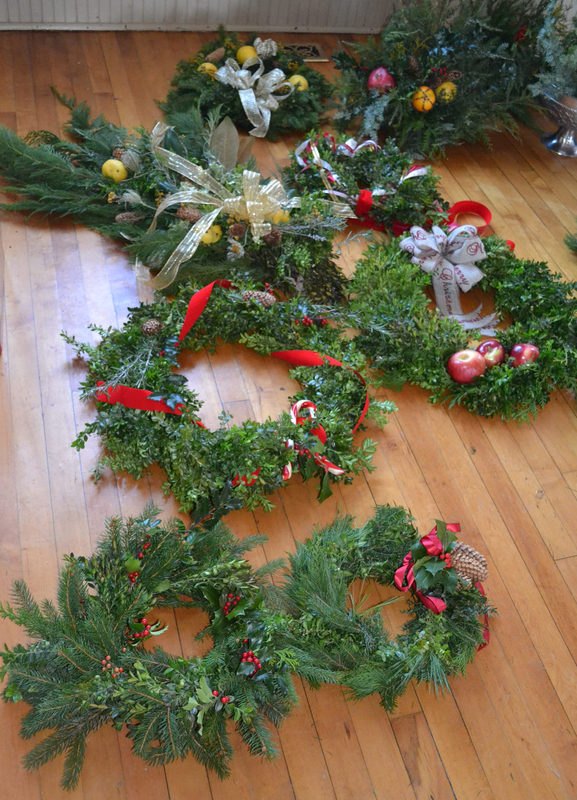 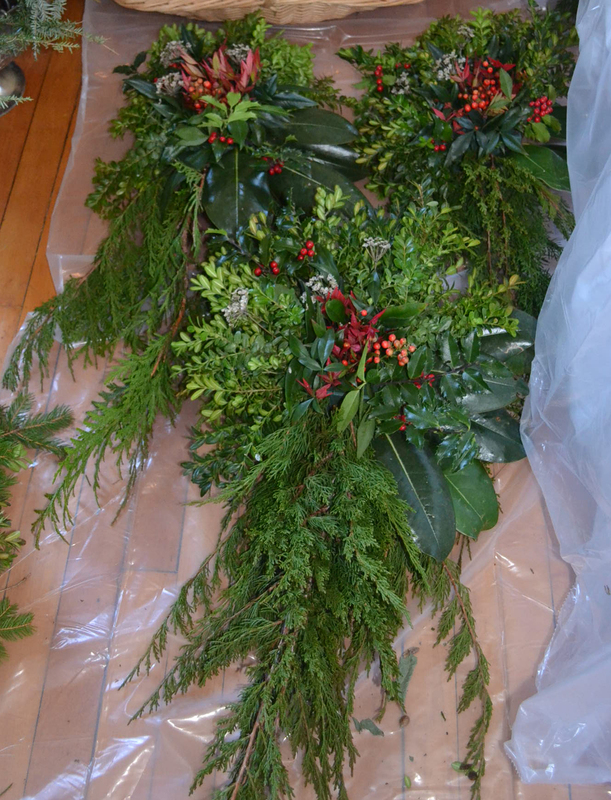 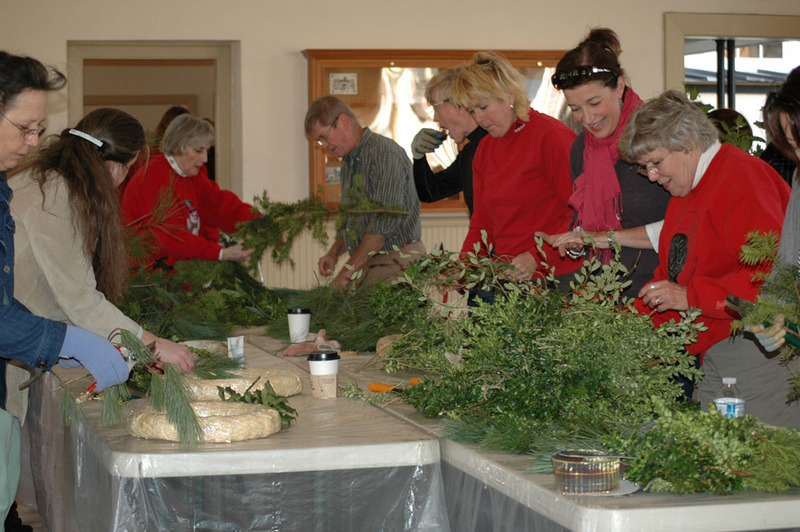 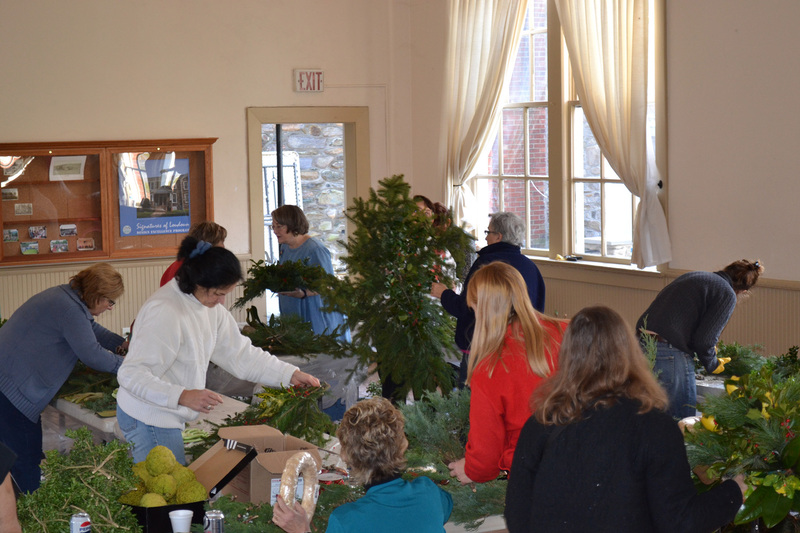 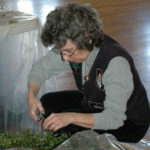 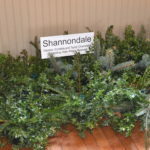 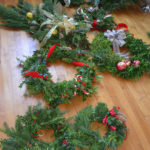 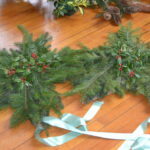 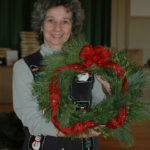 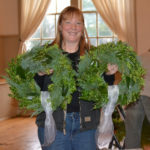 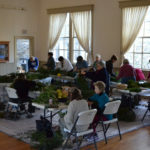 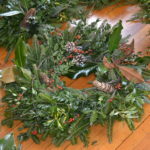 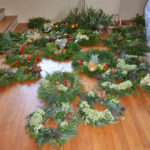 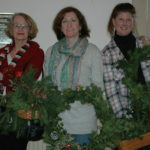 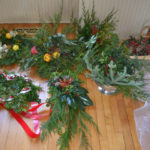 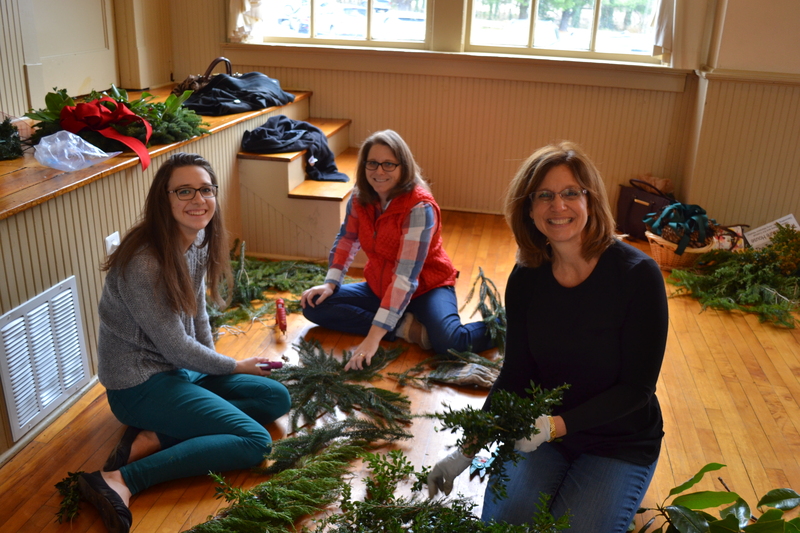 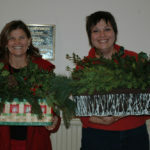 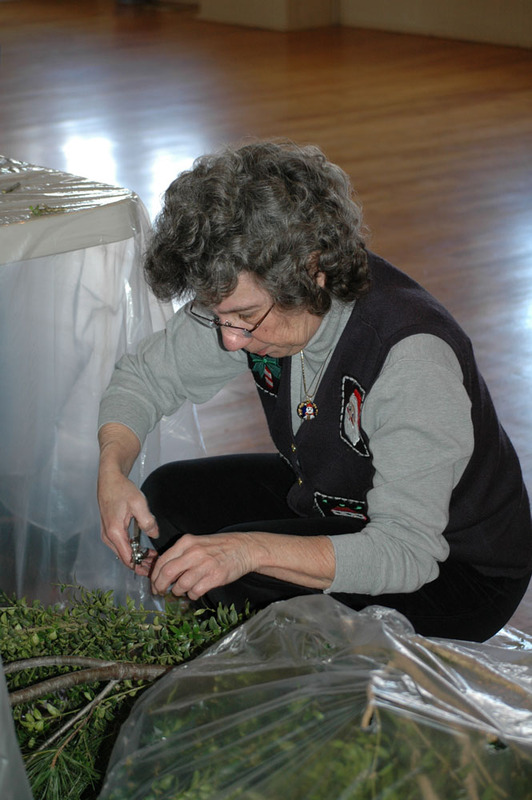 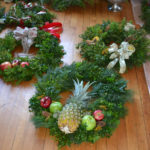 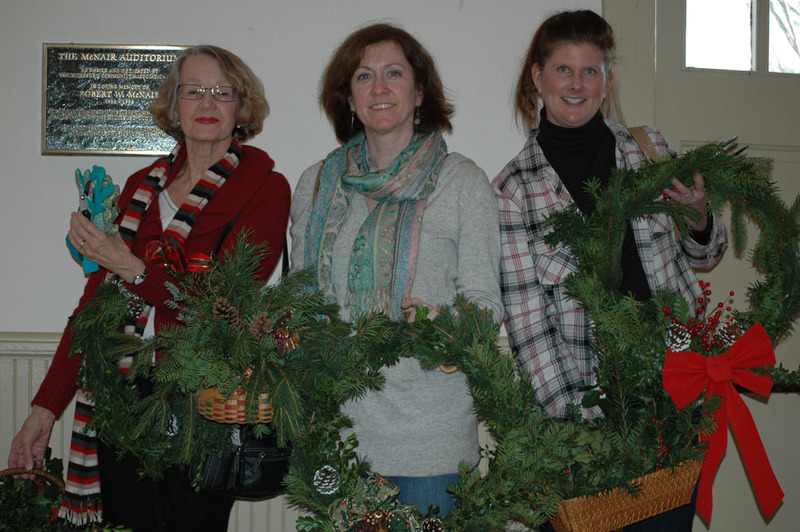 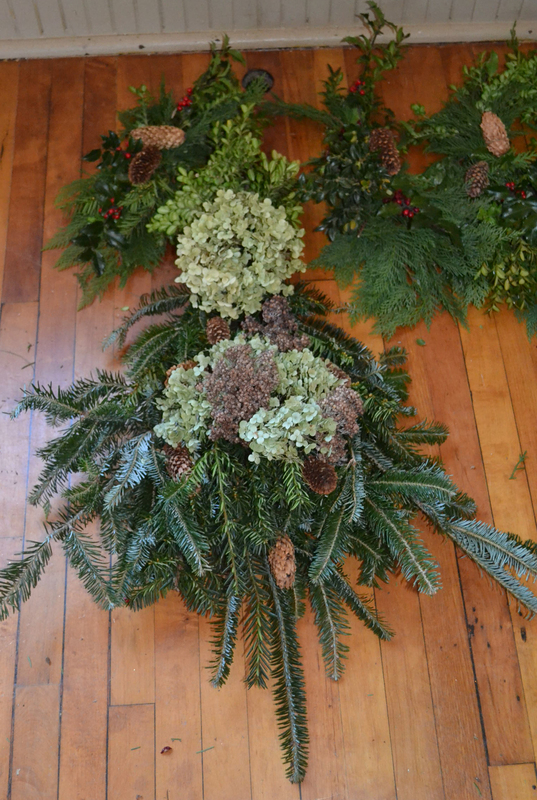 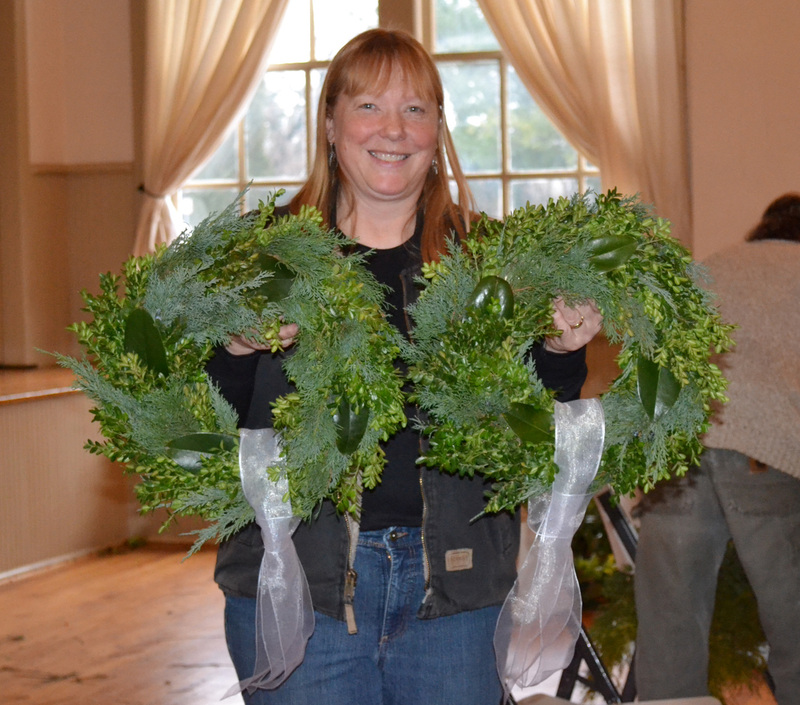 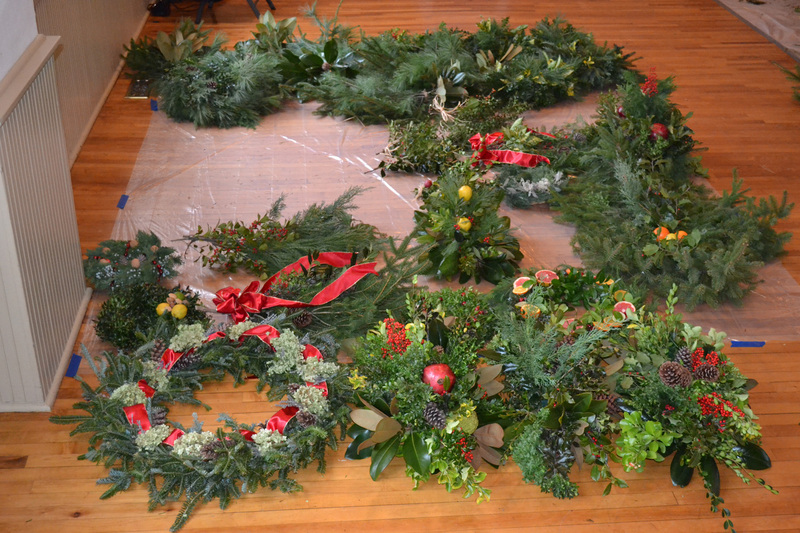 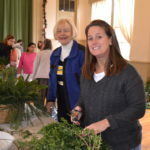 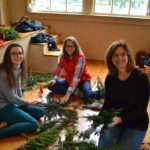 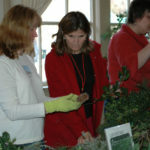 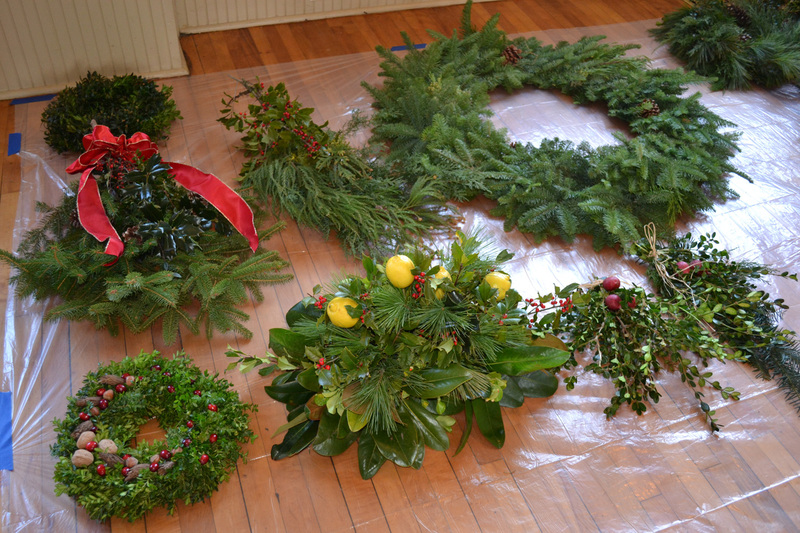 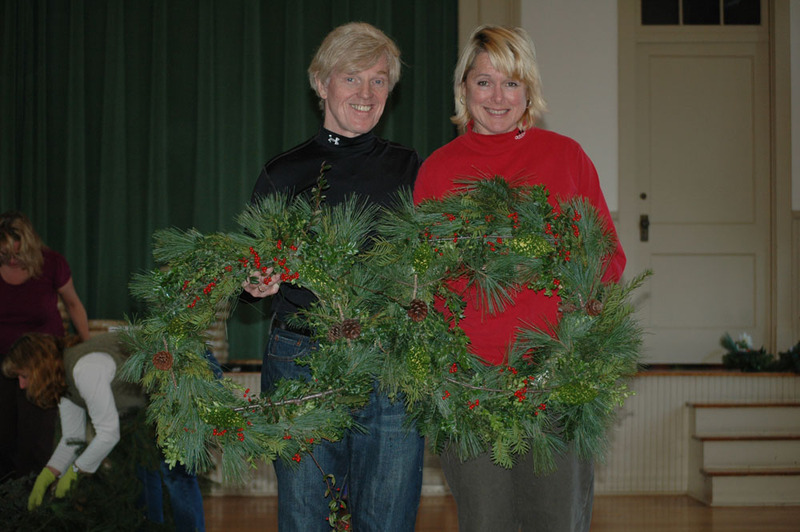 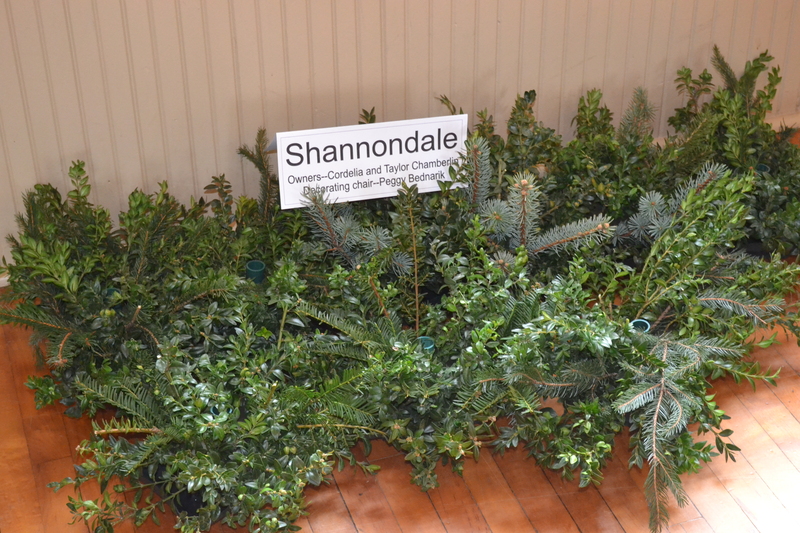 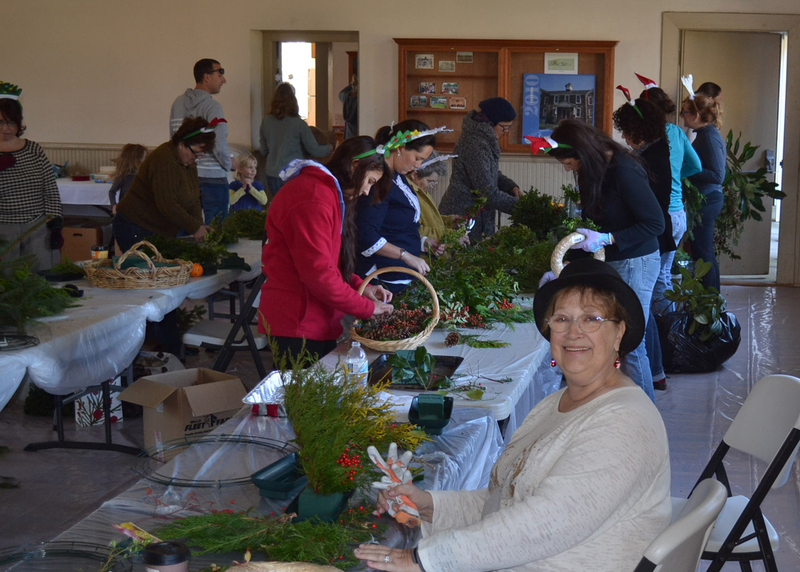 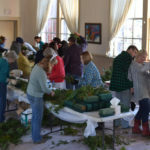 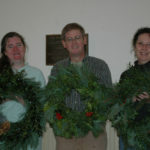 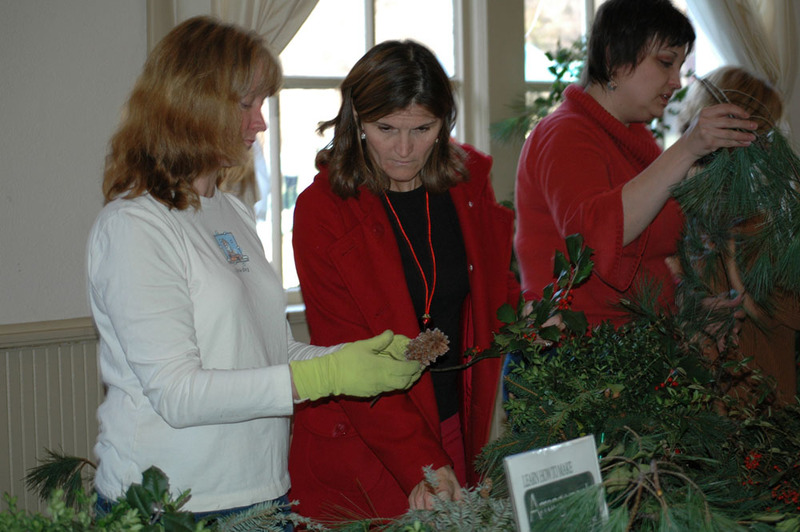 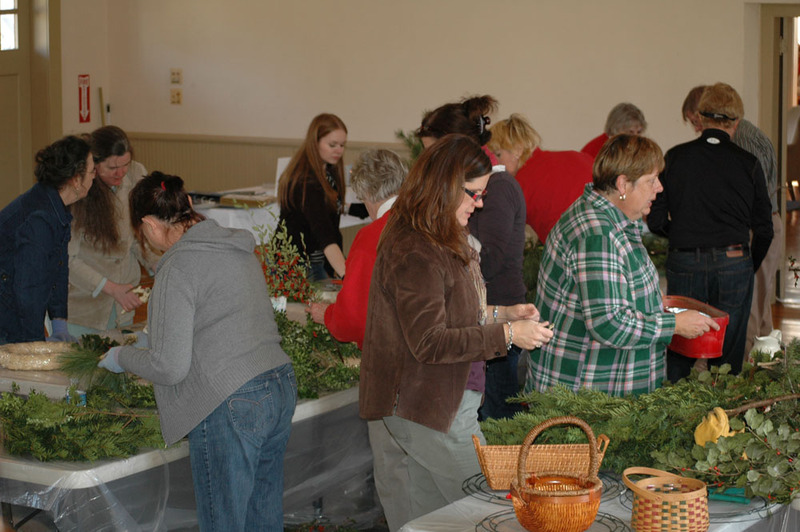 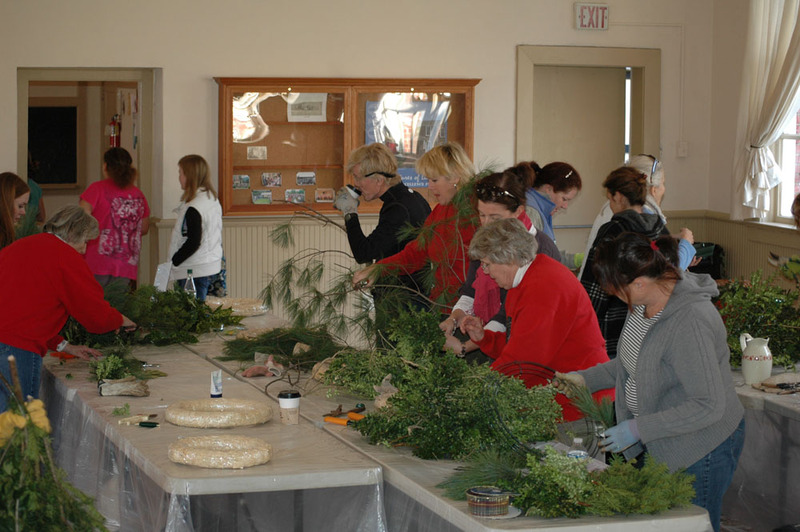 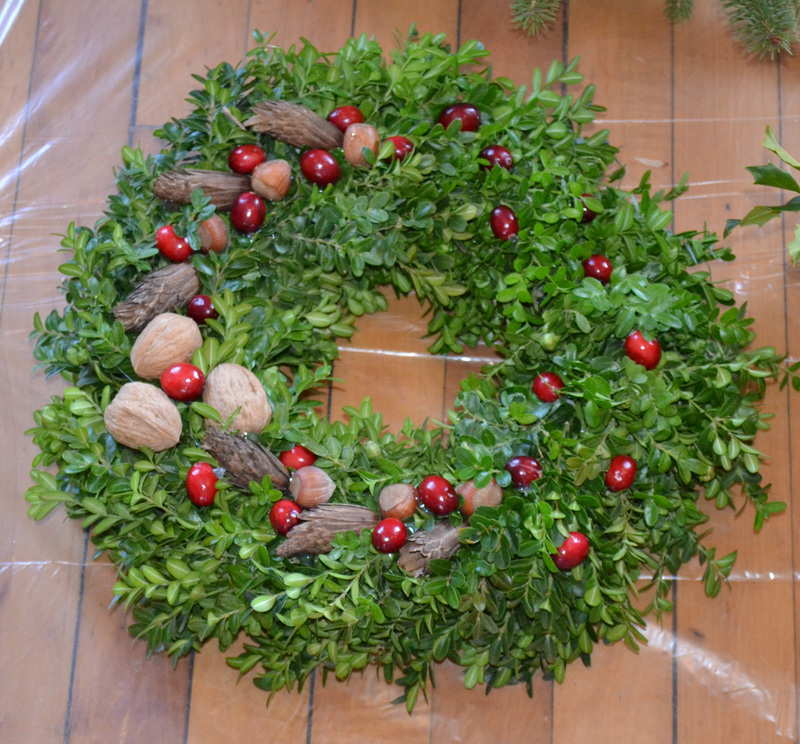 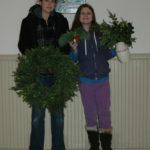 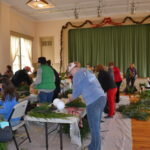 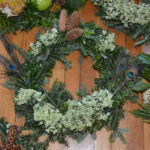 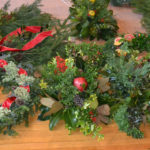 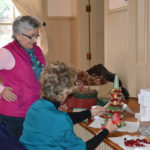 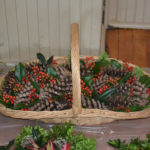 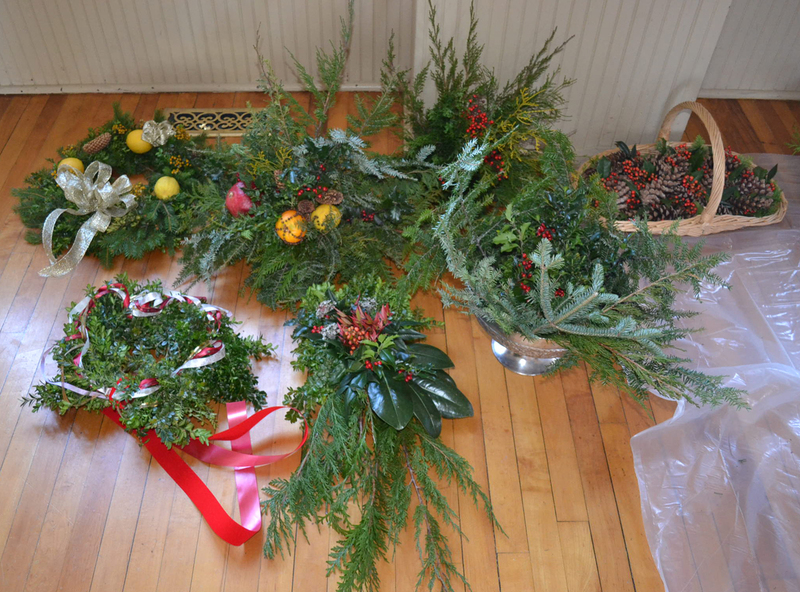 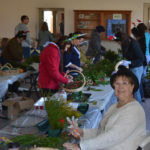 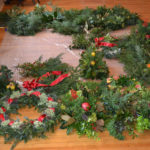 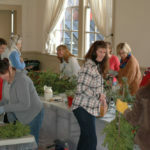 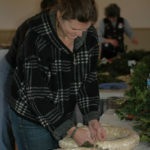 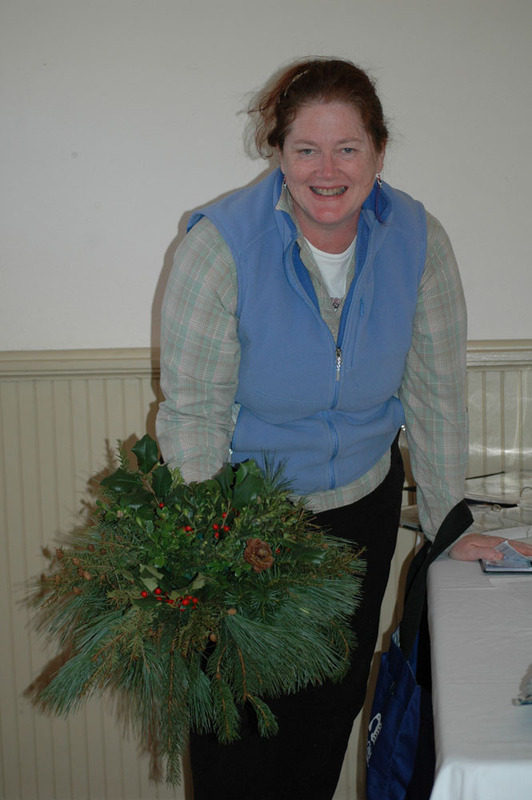 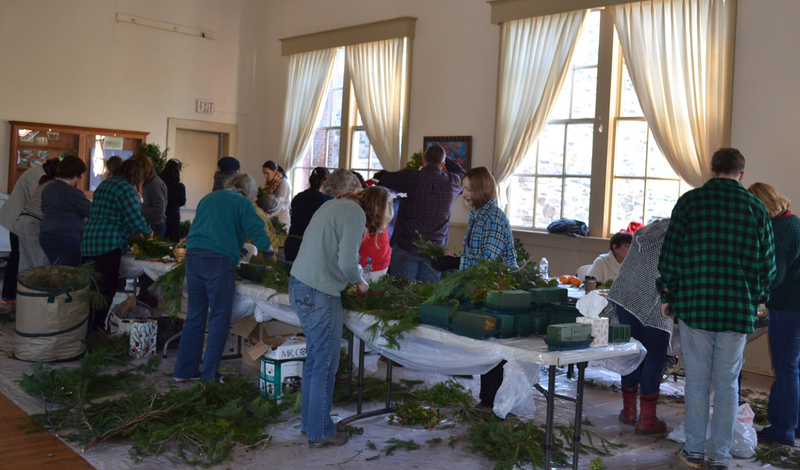 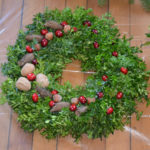 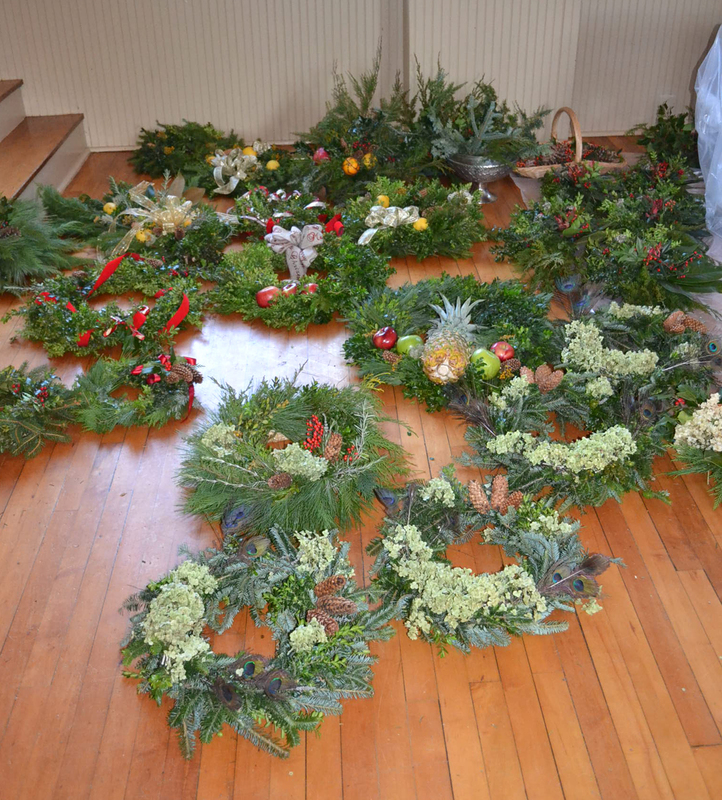 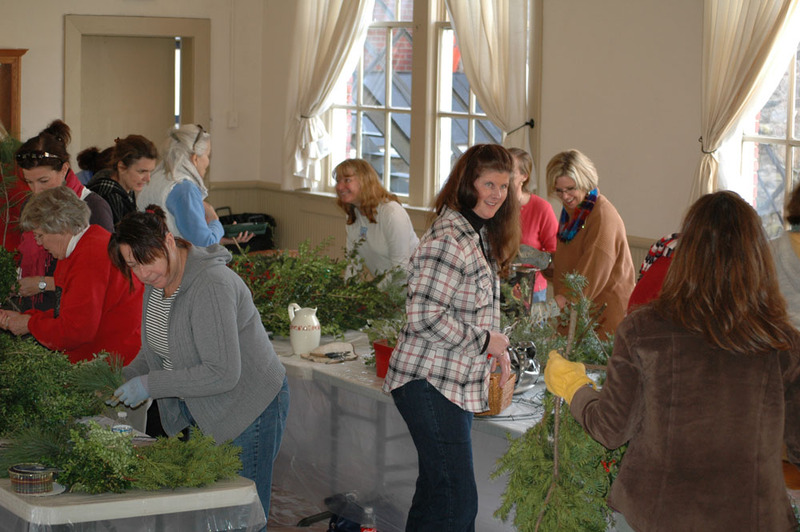 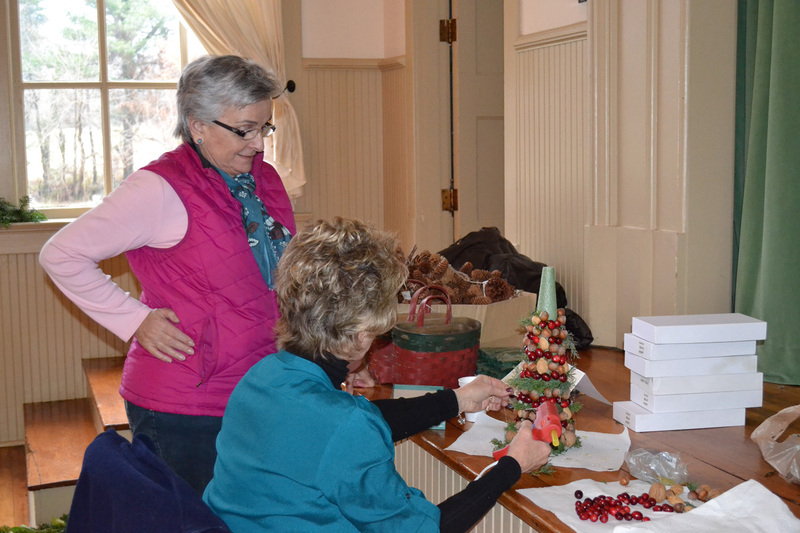 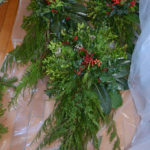 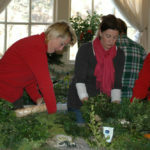 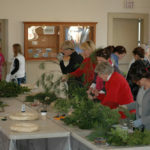 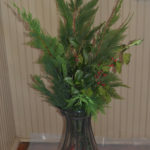 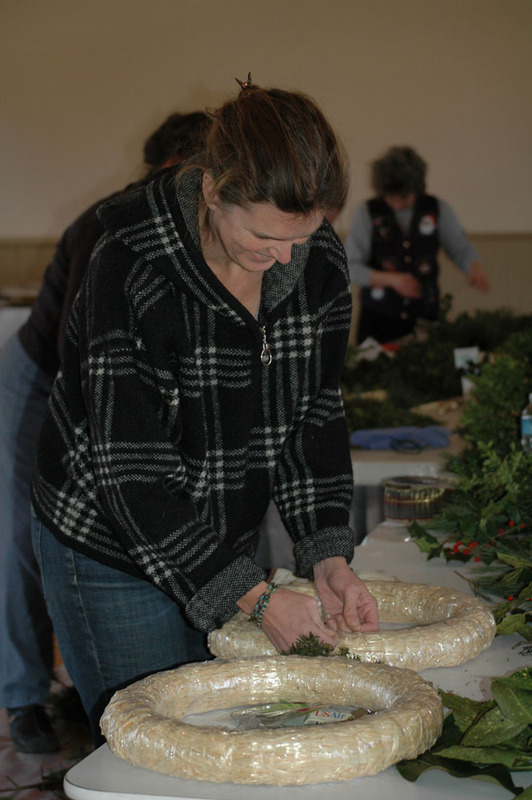 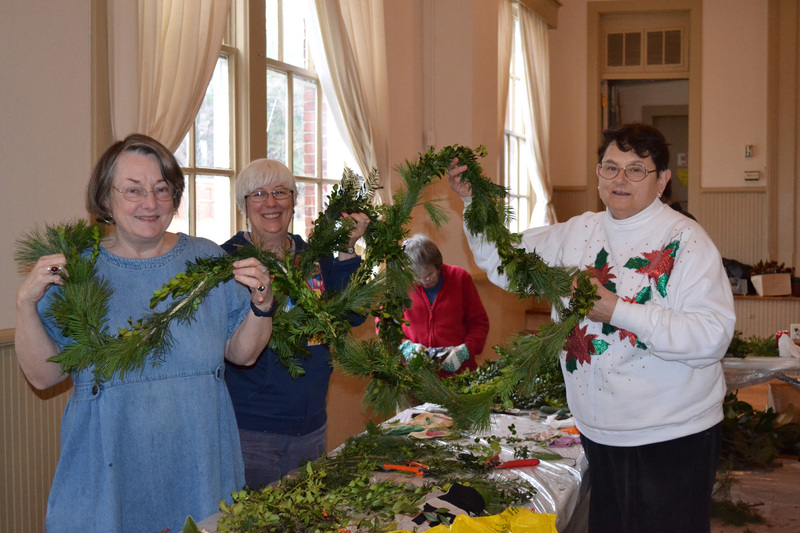 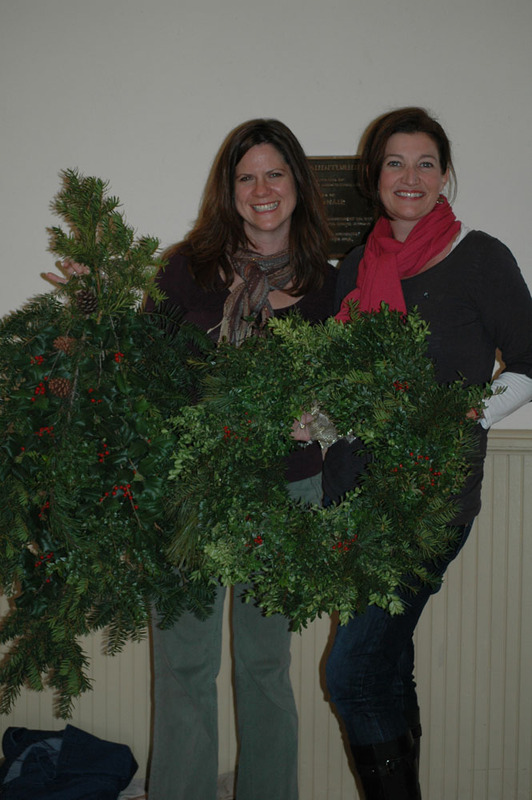 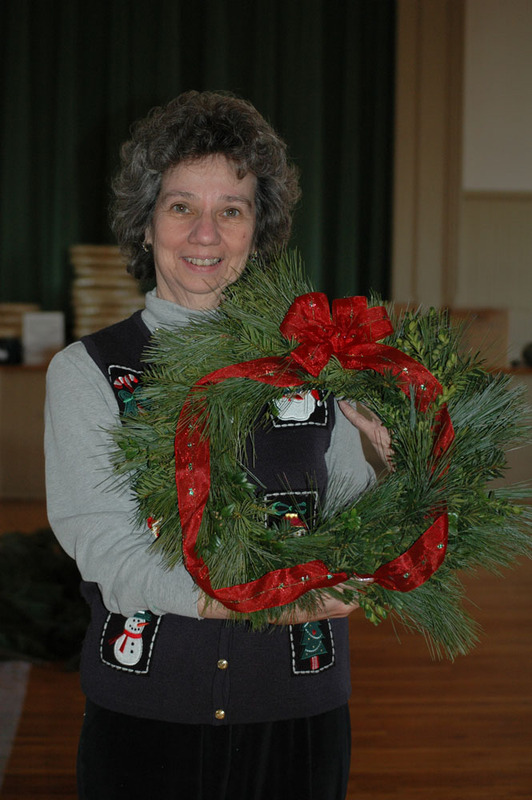 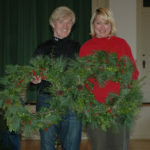 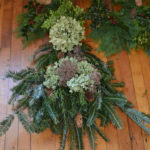 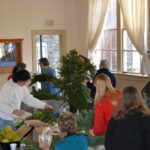 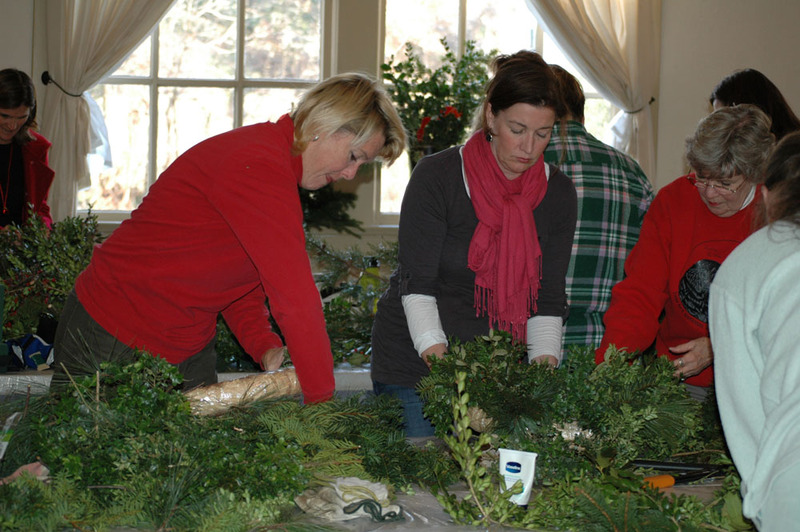 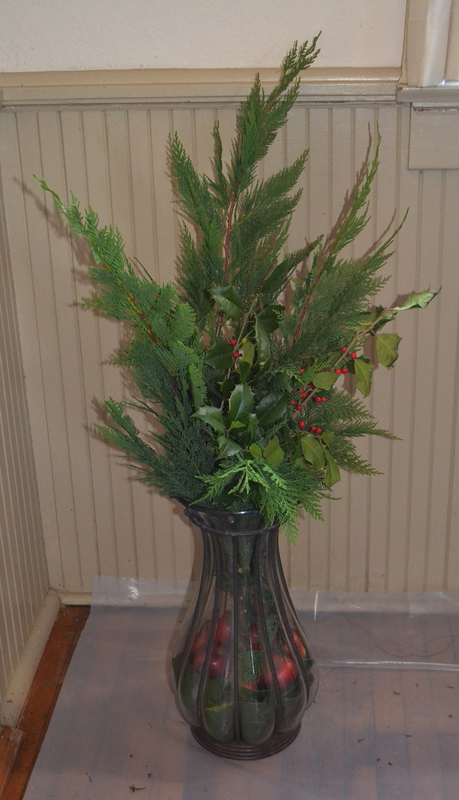 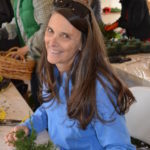 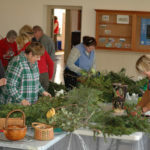 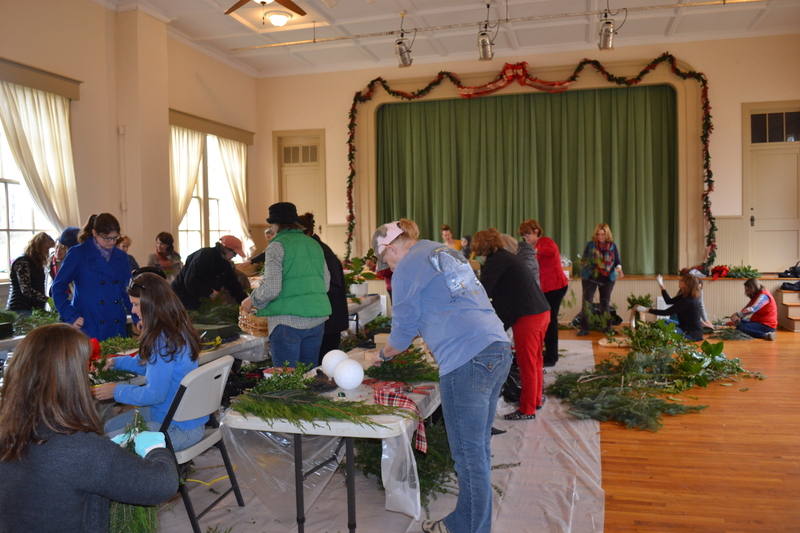 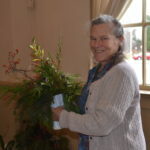 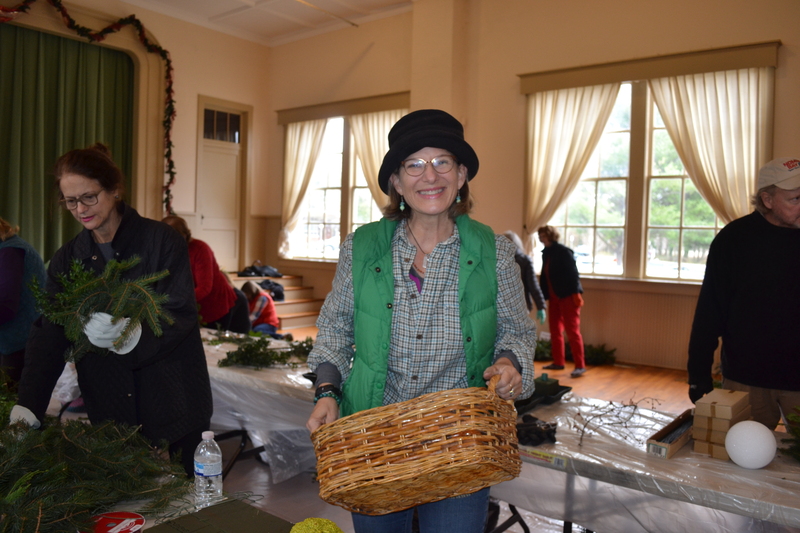 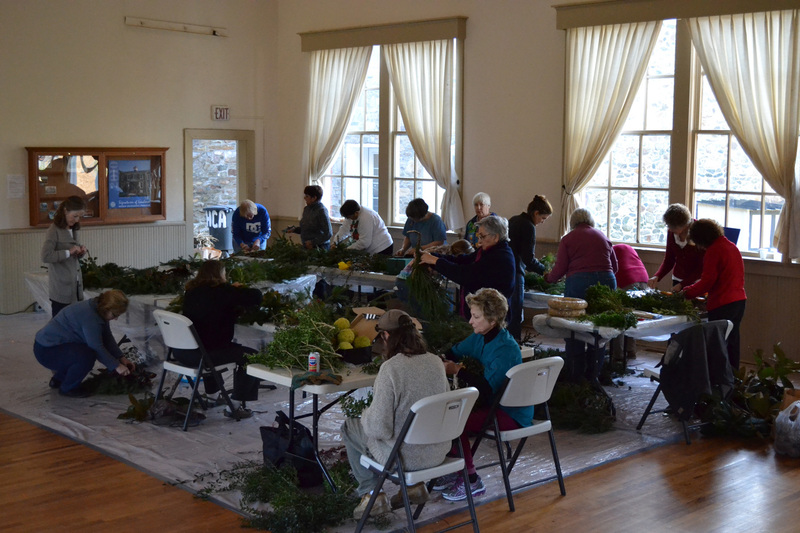 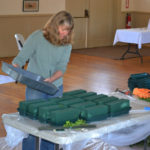 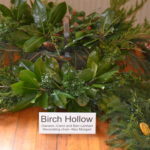 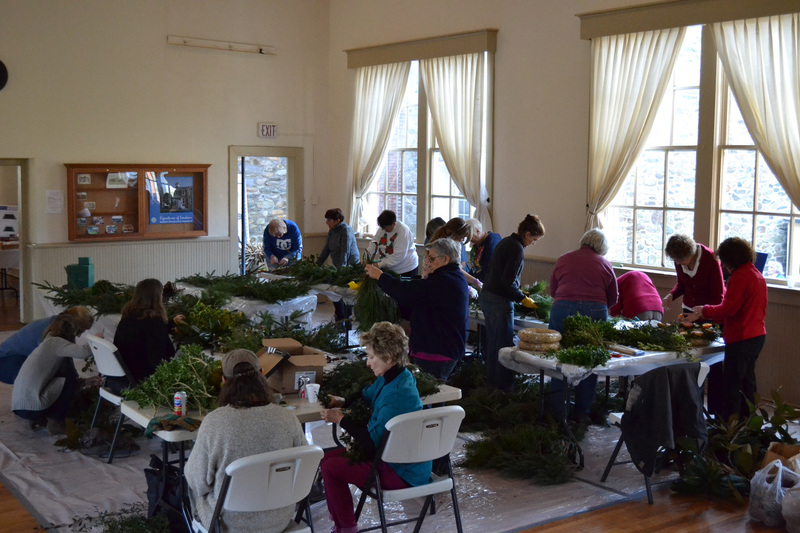 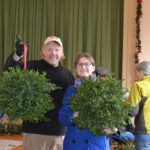 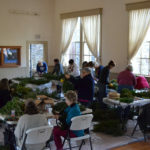 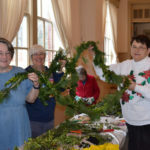 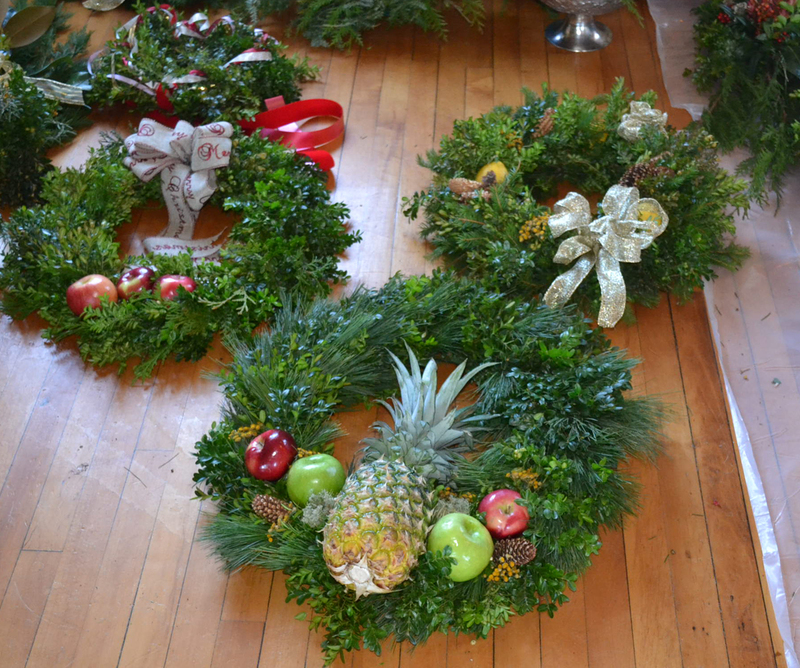 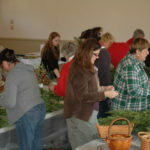 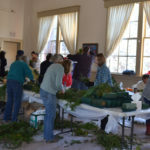 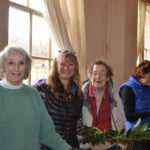 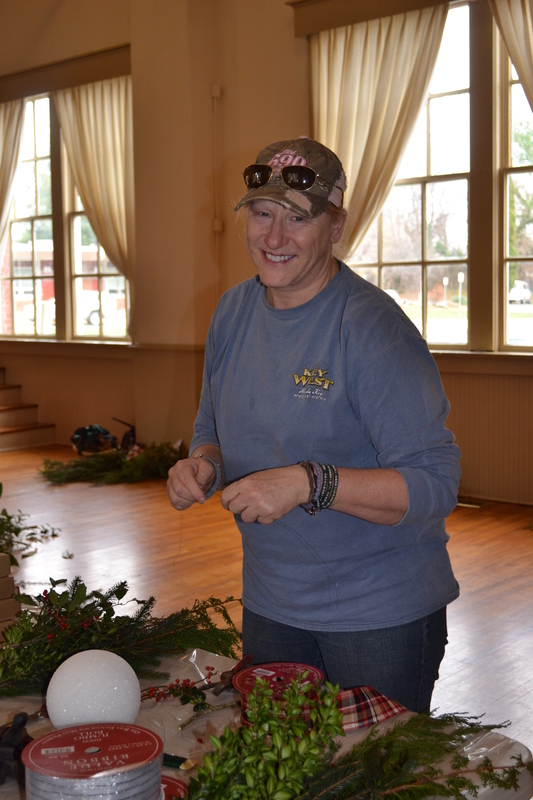 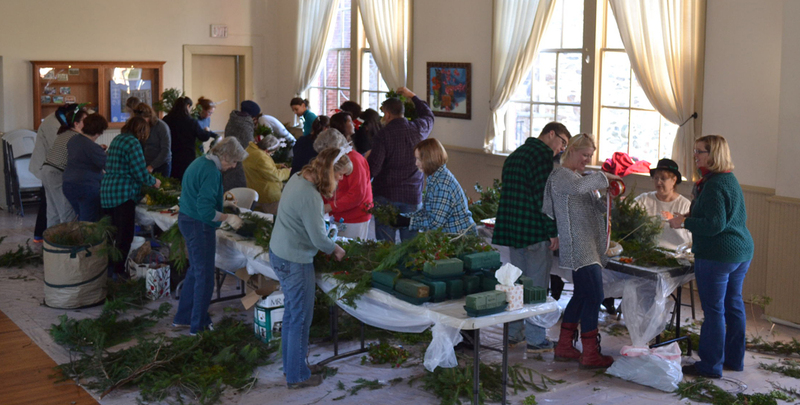 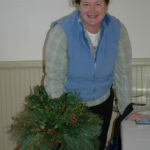 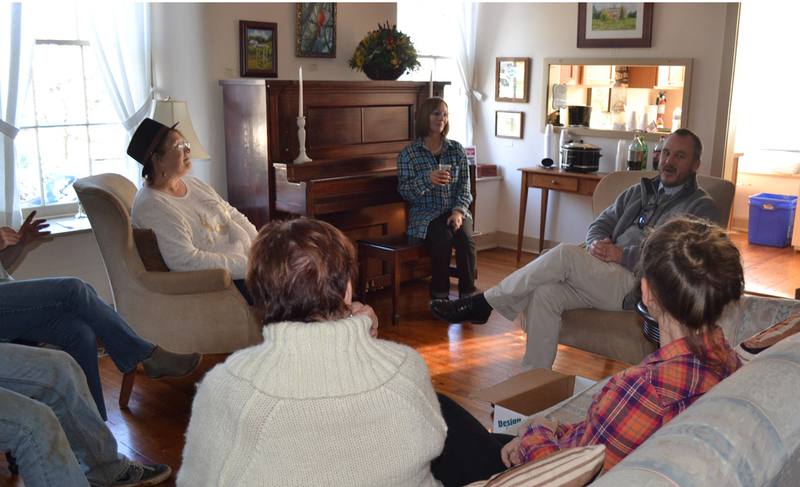 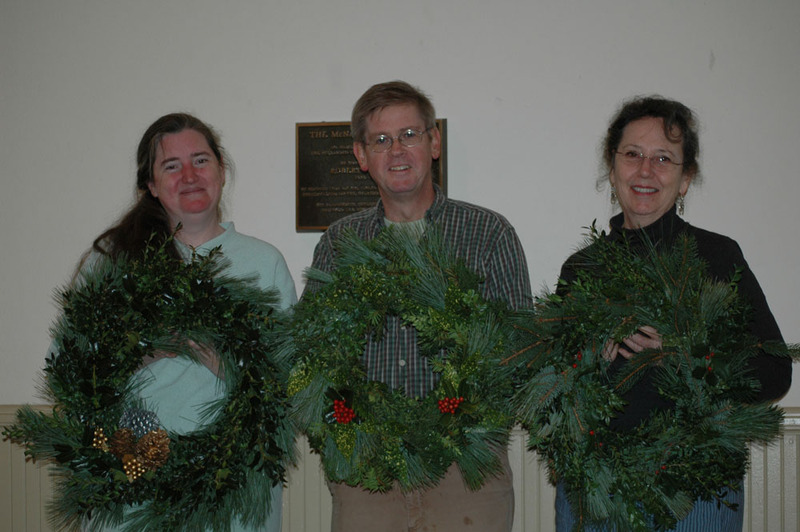 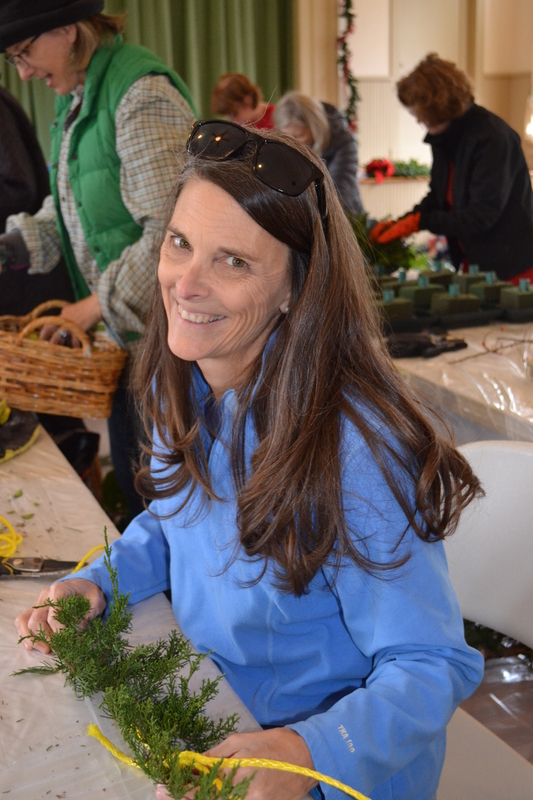 To make decorations for the Christmas in Hillsboro Historic Homes Tour, we host a Greens Workshop. 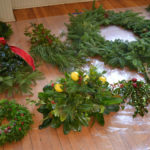 Each home has a decorating chair who shows volunteers what decorations to make and how using fresh greens. 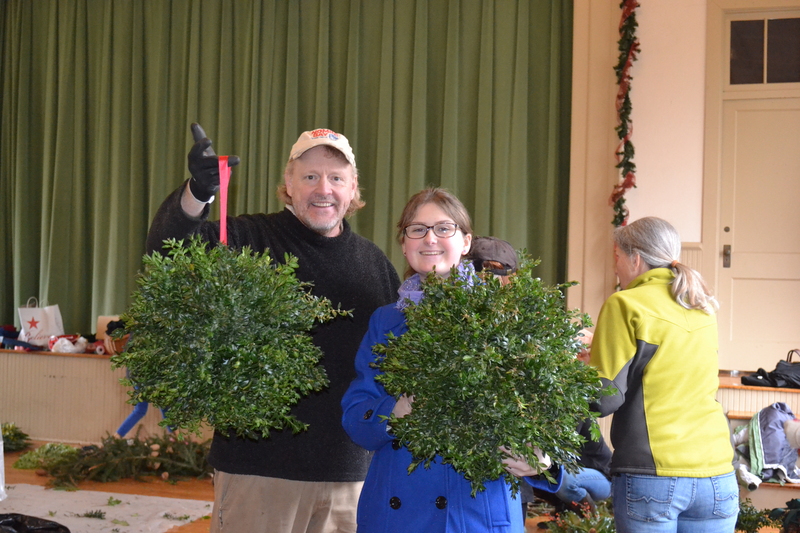 The 2017 Greens Worksop will be held on December 3 from noon to 5 p.m. Bring your own gloves and clippers, and join us! 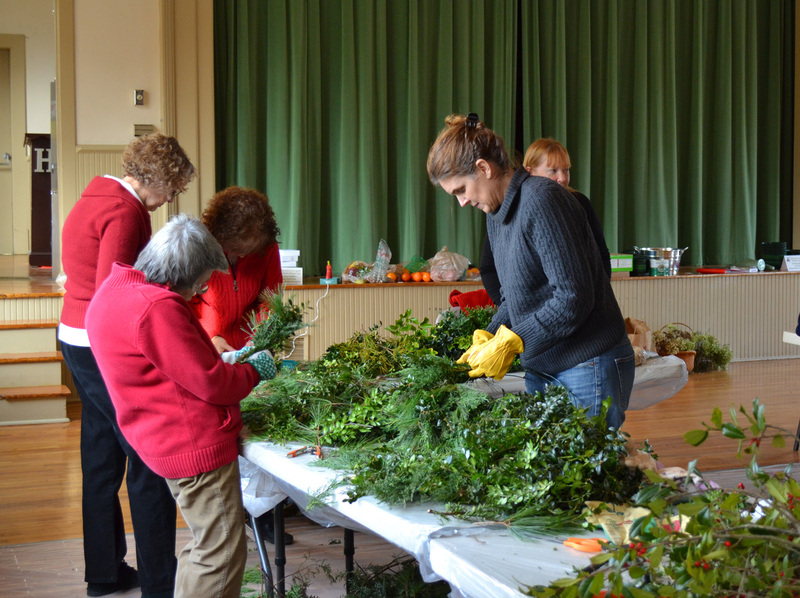 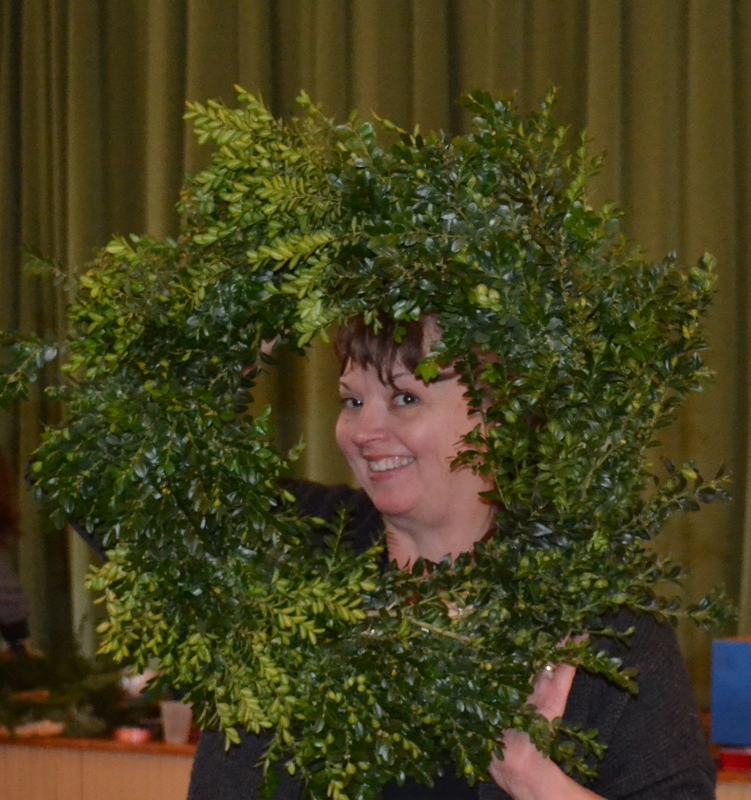 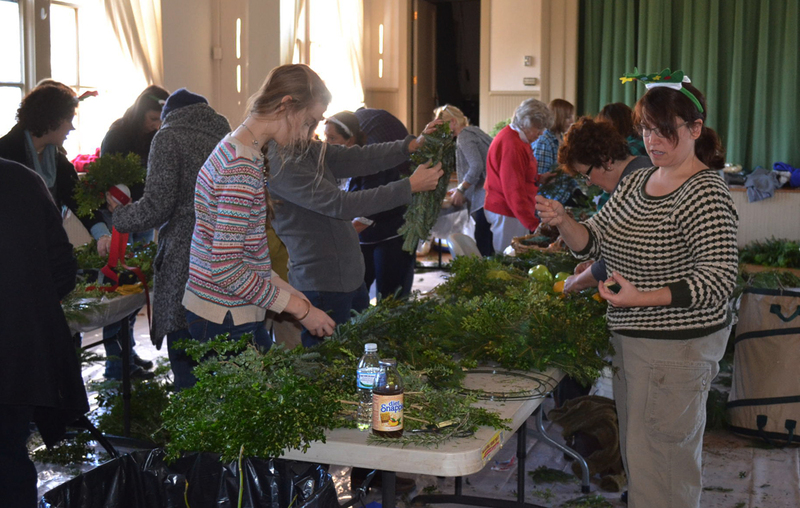 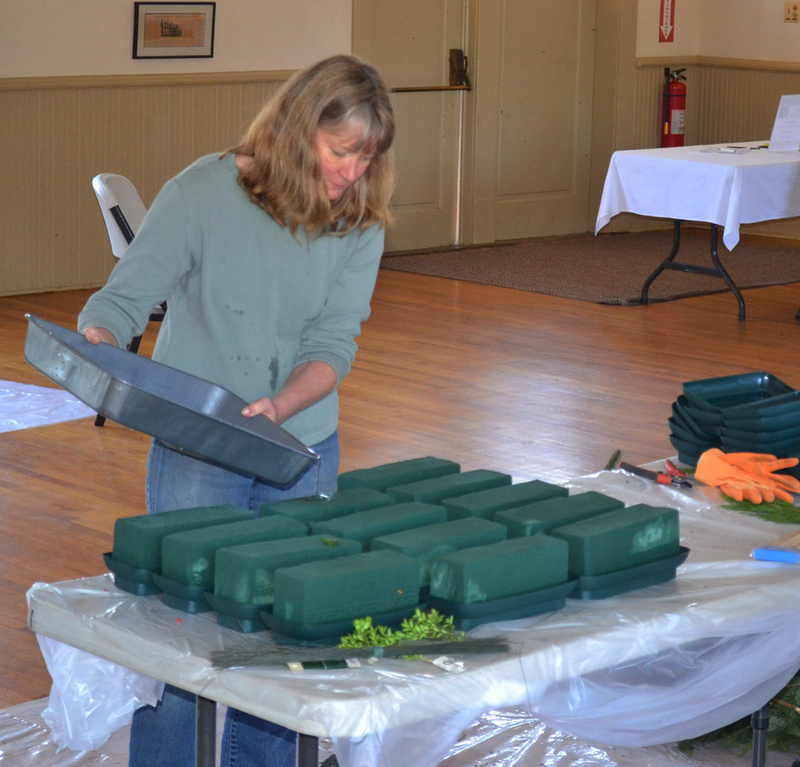 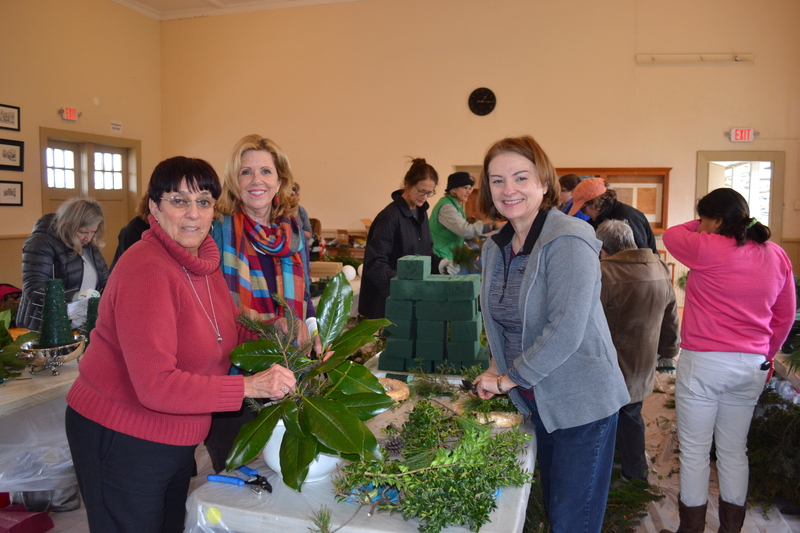 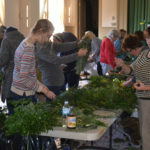 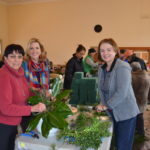 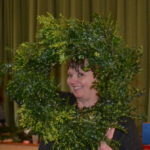 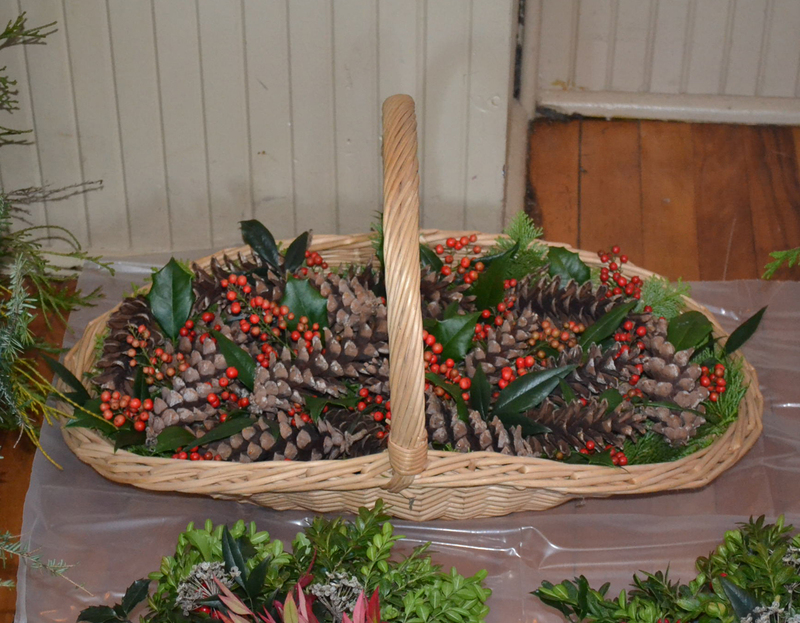 See photos from past Greens Workshops below.